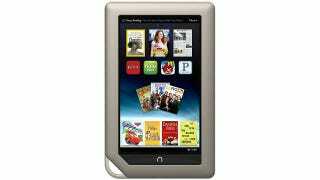 According to leaked documents seen by The Verge, Barnes & Noble is launching an 8GB version of its Nook Tablet this week. That drop in capacity means one thing: it's planning to match, or undercut, the Kindle Fire. "All we know for sure is that Walmart plans to launch this new device at 12:01AM on Wednesday, February the 22nd, and deliveries of the 8GB Tablet should be arriving in stores already."